Home >> BIO-KILL >> How Safe is Bio-Kill? On June 24, 2018,	Posted by Jerome ,	In BIO-KILL,	With Comments Off on How Safe is Bio-Kill? 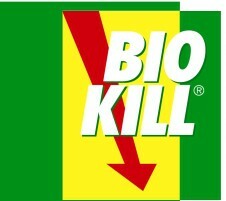 A guy in Japan wanted to commit suicide and bought two trigger spray bottles of Bio-Kill pest control insecticide. He drank them both and informed his family that he is now going to die. Of course, some family members rushed over to his place and promptly carted him off to a hospital, alarmingly telling the doctors that the patient is about to die from severe poisoning. The doctors immediately started examining him, looking for usual tell-tale signs of poisoning. Not finding any such signs immediately, they sat him down and told him to wait. They kept checking him every 15 minutes or so. He remained there for several hours until eventually the doctors told him that there is absolutely nothing wrong with him and sent him home. What a happy ending! You could walk around with 1,000 litres of Bio-Kill in your stomach (if it was big enough of course! Lol) , and nothing will happen to you. Eyes, ears, mucous membranes….. nothing is affected by Bio-Kill. Yet it is such a Highly effective insecticide. Feel totally confident in using The Green Way for your pest control needs. The best product and the best service ever.